Let’s make this easier, a quarterly report (although I’m still recording it monthly for my own records). This quarter, we contributed $15,566.33 to our retirement accounts, and have gained $29,730.13 in investment value. That averages out to just over $5,100 per month. Next month will see an uptick in contributions, all because of cash back from our recent spending, and I suspect the following two months will as well. 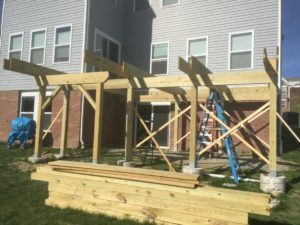 We spent quite a bit on the deck wood – the framing is almost complete. 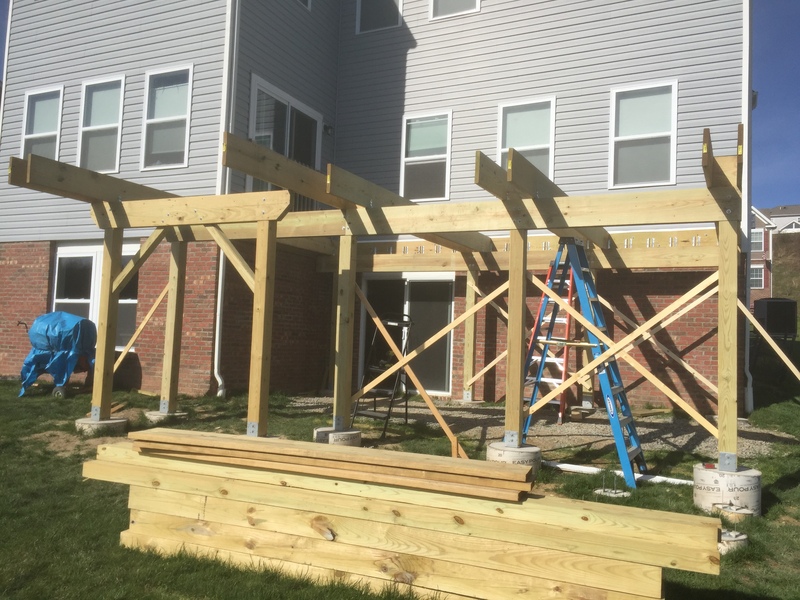 We should finish the joists this weekend. Then we get to build the stairs. We also made an other large purchase. Not completely unexpected, but not 100% planned for, but the opportunity arose, and we took it. $6300 for a baby grand piano. It’s a 1982 Sojin (Daewoo), reconditioned, and beautiful. And, yes that is the easy piano edition of the Hamilton Soundtrack. It was an anniversary gift from Dad. We had been looking at “real” pianos to replace our digital piano, as it was starting to get in the way of our progress. Unfortunately, the way our house is designed, an upright will literally not fit anywhere without blocking a door, window, (built-in) bookcase or fireplace. So, I demanded that we get a baby grand, and it couldn’t be shiny ebony (black). We visited Rick Jones Pianos in the DC area while we were visiting, and they had this beauty. Met all of my aesthetic requirements, and met all of Dad’s playability requirements. So, we bought it. 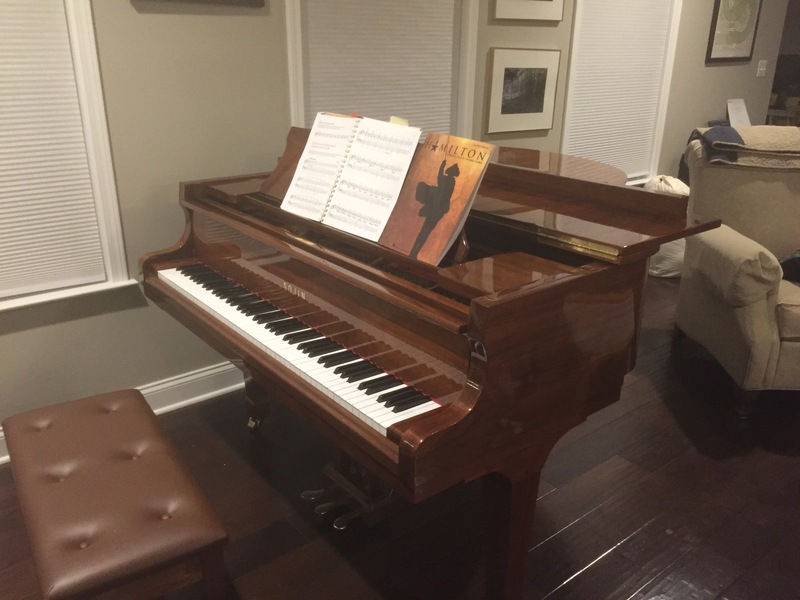 The price we paid included the piano, bench, a humidity system to protect it and delivery to our house near Pittsburgh. It also came with one free tuning, and as long as we maintain it, we can trade it in for what we paid for it towards another piano – that’s likely to be a very long time away. At the end of this month, Daughter Person is getting her tonsils and adenoids out, and we’re paying for that – definitely meeting our deductible this year, but taking advantage of the cash back! In 2017 we contributed $15,566.33 (22.24% of our goal of 70k), and we gained $29,730.13 in investment value (81.57% of our planned total). This entry was posted in Finances, Retirement on April 18, 2017 by Mom.